Several years ago I heard a Bible Study lesson about the “one thing” verses in the Bible. These verses focus our hearts to the one really important thing in the world: Christ’s work for us and following Him above all. 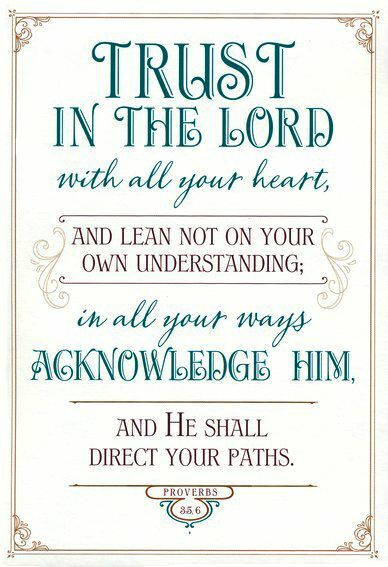 I have treasured these verses since then. …What other verses am I missing? 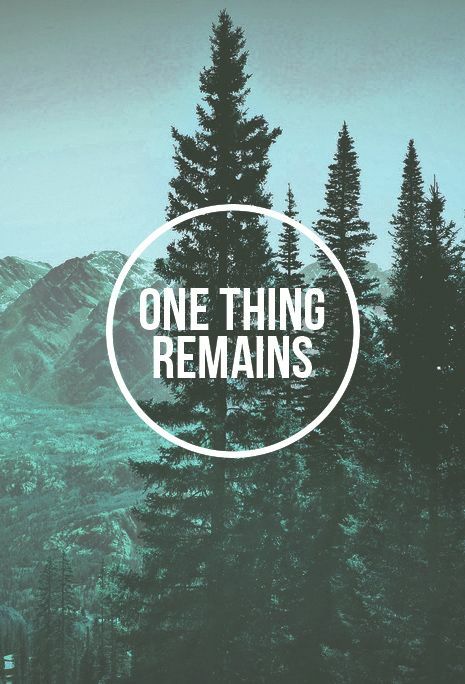 Of course it was pretty exciting recently when a worship song came out, singing about the one thing! You probably know it, but in light of our reflection on this one thing above all things, listen again with new ears. 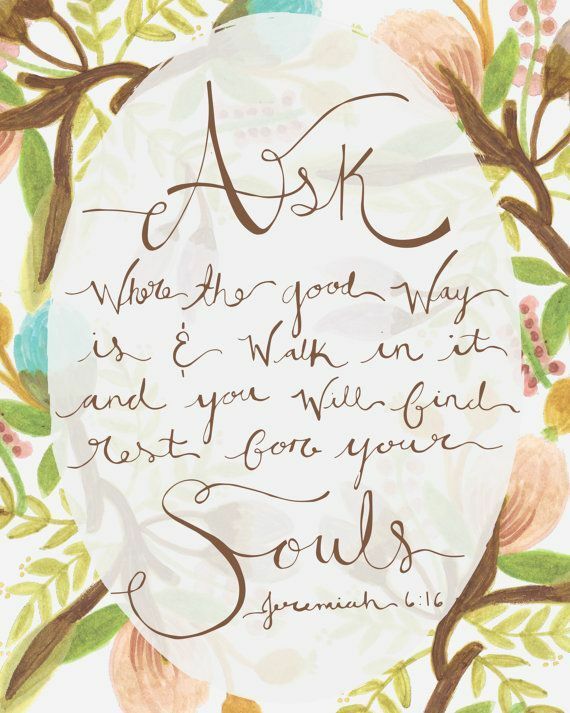 And on and on and on and on it goes; and it overwhelms and satisfies my soul. I’m probably the last person on the planet to think of this, but I’m so excited about it I just wanted to share. Our small group is reading through a yearly Bible plan, and right now we’re in Leviticus. I love every book of the Bible in its own right, but Leviticus can be rough, you guys. Have you read Leviticus 15? Gross. Anyway, it’s my selfish sinful side that allows me to fall behind in my reading when it doesn’t excite me much. But last week I had a day of cleaning my house (also thrilling), and the idea came to me: I’ll listen to my reading while I clean. And it was awesome! I got so much more out of it (though some weirder parts I was hoping my neighbors couldn’t hear), when I often read some sections and don’t even pay attention. I even went a few chapters ahead without even noticing. I was just about to do the same during my cleaning time this morning, and thought it was a tidbit worth sharing. If you have trouble keeping up or finding time for your reading every now and then, why not try listening? I love this website: http://www.bible.is/ — which offers multiple versions (and languages), a free App, and you can download whole versions for free! So you can listen while you work like me, or even in your car or on your morning run! Click to visit the site. You can set up a log-in, but you don’t have to. I’m not big on idolizing human beings (as none of us should be, I think we can all agree). Really, I probably overreact to my pre-Christ culture, which included the secular obsession with the rich and famous, as well as Catholic saints (for the record, I love Catholics and had a great experience growing up Catholic, but I reject the practice of idolizing saints). However, I have learned in recent years the balance of appreciating people who have spent their lives well for the Kingdom, leaving an eternal legacy that far outweighs any earthly one. I don’t want to teach my children someday that some people are super-saints who we hold up high and revere as near deity. We strive to be like Christ, and need no other example, of course. But in a world that truly does idolize people who, by my assessment, are really wasting their lives for no worthy cause, I see the value in encouraging future generations to look to people who spent their lives for the One Worthy Cause. All that to say, I have said before that Jim and Elisabeth Elliot are two of my earthly heroes. By my estimate, they spent their lives for eternal causes and left an admirable legacy. In short, the Elliots, with several other similarly admirable people, put all their energy into taking the gospel to an unreached tribe in Ecuador. When the men reached the tribe, they were killed on the spot. Later, Elisabeth and the women took their children to live among the same tribe that killed their husbands. Their love and forgiveness were two major factors in slowly leading that tribe to Christ. Aside from that inspiring story, the Elliots are also very godly people in general who have a lot of biblical wisdom to offer (I recommend reading any of their books). So I said all of that to point to two of Jim Elliot’s famous quotes that are special to my life. They’re not more important than scripture to me – not even close — but they echo ideas from scripture in a wise way, and I appreciate that. You may have heard it before. We cherished it as a bit of a family motto from the beginning, in seeking to go into the same line of work as the Elliots. It was a long process with a lot of waiting, and even after we got started we were instantly thrown off course and sent, at the last minute, to a different country than planned. We clung to this motto as we lived in a “stand-by” country for a couple years. 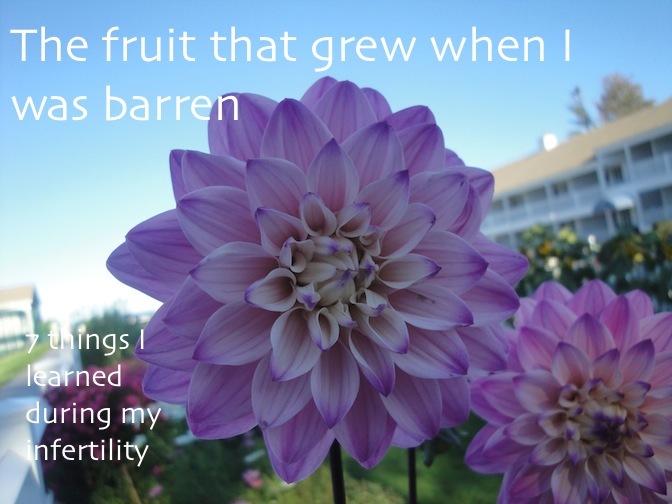 But I was clinging all the more to this motto in our years of infertility (see, there is a point to all this rambling!). 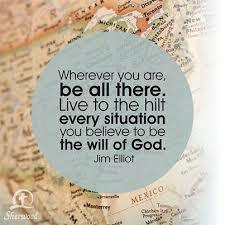 I really do think that, in addition to, and perhaps more than, talking about where we geographically are in life, Jim Elliot was encouraging us to “be all there” in any situation in life. It was a great fear of mine that I would waste those barren years (which, at the time, I didn’t know weren’t endless) just waiting for them to be over with already. That’s a fear I have for you, too. 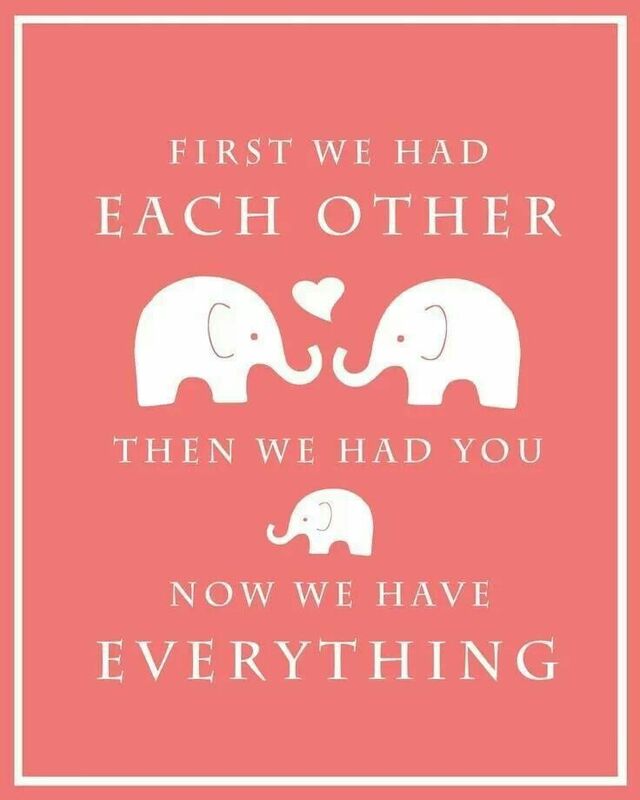 How applicable to infertility! 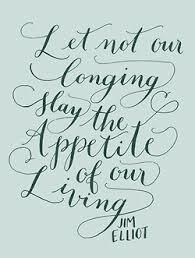 Let us hate the thought of spending months or years, lost so much in our longing that we forget to live! …and may we likewise hate the thought of living for anything but the Kingdom! An extra thought: Could I encourage you to at least use some of this time as an opportunity from the Lord to pray about if you really are using your life to the fullest extent for the Kingdom? He may not ask you to move to another country or be killed by a tribe (but He really may! ), but He may be asking more of you, and this is His time to get your attention. Don’t let it pass you by because your eyes are fixed on something else. If you don’t know about Secret Church, I recommend checking it out! It’s a long, intense time of Bible Study and prayer put on by the Church at Brook Hills in Alabama each year. It is held on Good Friday and, while this year may be my first participating, I’ve always heard rave reviews. You can participate by registering for access to the study guide and the video simulcast. The major purpose is to mimic the type of study and house church many believers around the world participate in instead of the more Western idea of church. You can read more about it on their website. It would be perfect for your church, small group, or family. If you’ve participated in Secret Church, please comment and share about your experience! I’ve shared before that prayer is really a big deal in my life. I don’t think I’m special because of that, I don’t think I’m spiritually gifted or anything, I say this with honestly but total humility — in my Christian life, prayer has always been significant. I’ve also shared that a huge contributor to this was a prayer class I took at Bible college. I know — what a weird class, right? It completely changed my life though. In the course we discussed why we pray, how to pray, how to motivate others to pray, and other similar topics. We read several prayer-related books, and, most importantly to me, we learned to develop our personal prayer lives. For the course, our “homework” included a minimum of 30 minutes of prayer a day. Confession: the first week or so, 30 minutes was basically torture. For one thing, I speak quickly, so I ran out of things to say pretty fast. And it was hard to get used to talking to Someone who wasn’t talking back. The professor helped us fill this time by giving us specific things to start off a prayer list. He assigned everyone an obscure country to pray for (see this site/book for guidance), as well as random people from our government (example) and other world leaders. Each week, we had to bring a personal prayer update to class with enough copies to give everyone. So we ended up with 20 or so prayer updates to help us pray personally for our classmates. I think we may have also been assigned professors and college employees. We were also taught the biblical value of praying using scripture. We were encouraged to keep a list, which I used a journal for, of specific things and people we were praying for. Within a few weeks, I can honestly say my prayer time could not be contained to just 30 minutes, and I cherished my prayer request journal, which, by the end of the semester, served as a memorial to dozens of prayer requests the Lord had answered in just 12 weeks of daily prayer. 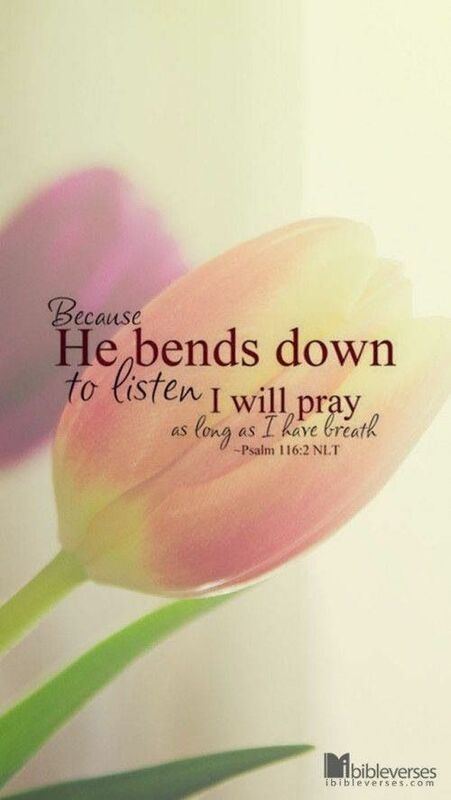 First of all, He says “When you pray” — this assumes your prayer time is happening. It’s not optional or occasional. If you read the gospels, which tell the story of Christ’s life, you see time and time again that He spends a lot of time in prayer. He expects the same of us. In fact, in the prayer class, we were encouraged to pray in solitude early in the morning, just like Jesus often did. In the example prayer He gives, Jesus covers important aspects of prayer. He starts with praising God and asking for His will, He petitions the Lord for provision and tells us to confess our sins and ask for protection against future sins. You may have heard the prayer model of “A.C.T.S.” — that is, Adoration (praising God for who He is), Contrition (confessing sins with a repentant heart), Thanksgiving (thanking God for what He’s done and given), and Supplication (asking God to answer requests). I learned this little method, which follows Luke 11, in that class, and I often follow it to this day. I see it as a “protection” against only using prayer to ask for things, and a guide to balance my prayers and stick to Christ’s instructions for how to pray. 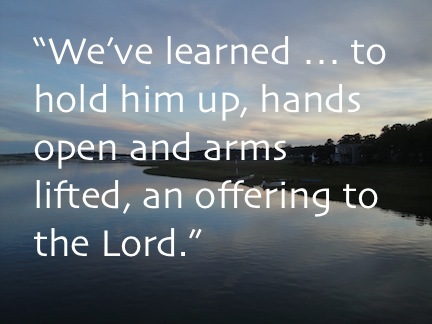 By the time I finished the prayer class, my prayer life was completely transformed. I loved spending an unlimited block of time each morning seeking the Lord, I loved adding people’s prayer requests to my list and seeing God answer them, and I felt closer to the Lord than I ever had. Over the years since, my prayer life hasn’t always stayed so extraordinary, but I can testify that the effects of the class still linger greatly. Unlike before the class, I now cherish the fundamental belief that a personal prayer life is not optional or only for times of need. I can honestly say I really enjoy meeting with God in prayer, and I really need it. 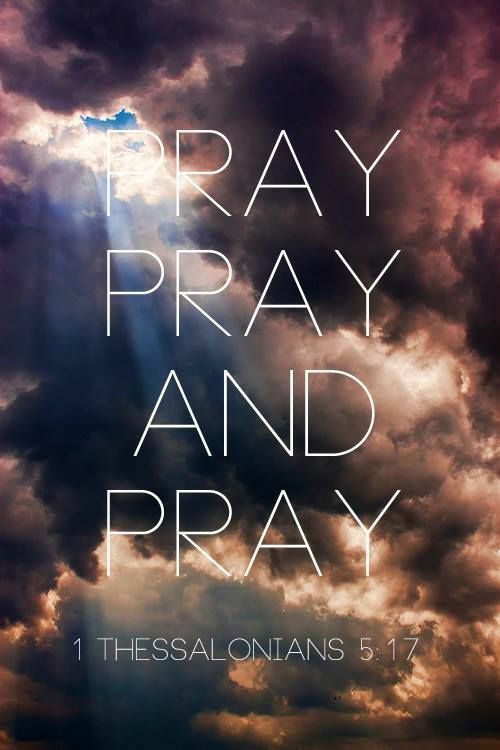 If I go too long without a solid time of prayer with Him, I can feel it, and I have to have it. This isn’t because I’m a super-saint — I was not like this before that class. I mean, sure, I liked praying, but anything more than a couple minutes was agony. I don’t naturally have a great attention span, and I had never given myself the chance (or had the guidance) to intentionally practice the discipline of prayer. And that’s what I really want to get at with this post. A couple semesters after taking that class, I remember a friend asking to have dinner with me to discuss something. At dinner, she started asking my advice on how to build her prayer life, at one point asking if I thought prayer was a spiritual gift. I absolutely do not think that. 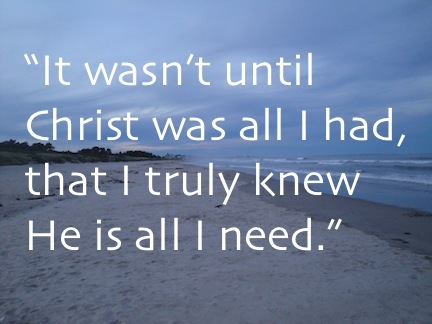 A prayer life, as we heard and saw from Jesus Himself, if a nonnegotiable necessity to any healthy Christian life. If you, like I once did, think you’re bad at it or don’t really need it, what you really need is an intentional period of growth. It would be the natural temptation of many of us to read about the requirements for the prayer class and cry legalism. And you’re right in knowing that Christ freed us from the law — so we don’t have to pray special prayers at special times in special ways. 30 minutes is not a magic, holy number. However, there is much said in scripture about discipline and intentional growth — and I would hate for anyone to miss out on that beautiful, life-changing growth because she’s confusing intentionality with legalism. If you’re thinking about your prayer life and feel it’s lacking something, or you even kind of cringe at the thought, I challenge you to consider how you can intentionally change this area of your life. There isn’t a special formula, but I can personally recommend the methods I shared about above. I am going to share some book recommendations, but it’s really as easy as (perhaps) setting a time limit, scheduling a daily prayer session (P.S. If you don’t schedule it, you probably won’t do it! ), and making a prayer list. Consider raising the time limit every week, and soliciting prayer requests from friends, finding them in the news, or using your church’s prayer list. Get creative. If you don’t have a lot of requests, spend more time thanking and praising God. Or just talk about your life and thoughts, like you would with a friend. I personally prefer to pray out loud (it helps my attention span); one of my best friends has long loved to write out her prayers. Embrace the freedom God has given, and find what works for you! I would love to hear your thoughts and feedback — how have you grown your prayer life in the past? If you take up this challenge, please come back and share how it’s going!